babus of india: Meet new DPE secretary Kapil Dev Tripathi; will he deliver fast? Meet new DPE secretary Kapil Dev Tripathi; will he deliver fast? many languages will be of any help in his new assignment, but his 5-year-long tenure in DPE, from 2005 to 2010, will definitely come handy. Tripathi knows in fingertips what are the problems being faced by the PSUs, and whether any policy twists could bring in solutions. Tripathi’s biggest challenge will be to make the government-run companies more effective and professionally-run, as envisioned by Modi Sarkar. Parts of of Roongta panel recommendations may also find place in new policies. As the market sentiments have improved, more and more cash-rich PSUs may witness divestment. 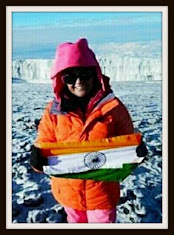 An MSc in physics from Allahabad University, Tripathi hails from Uttar Pradesh. But as an IAS, he has spent most of his working years not near the Ganga, but in the valley of river Brahmaputra. He was a deputy commissioner in Lakhimpur and Golaghat districts, and has worked in a number of departments – industries, rural development, panchayat, personnel, general administration, fisheries, agriculture etc. At the Centre, he worked in the ministries such as steel, tourism and DPE. 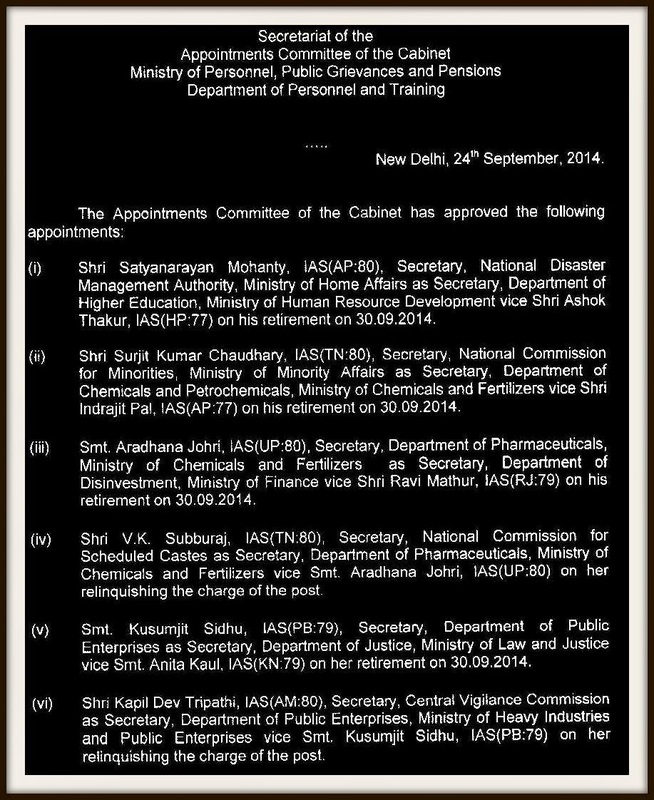 From May 2011, he was secretary in CVC, first at the rank of an additional secretary and then as secretary. Taking sabbaticals from the service, Tripathi did an MBA from Slovenia in 1993. Tripathi will retire in June 2018. We hope sick psu's were turn around in your period we strongly believe you sir. pl do something to save the national assets,please think how to revive the sick psu's,your officers are not having the ideas for revive but they have TONNES of ides for closing the psu.Our PM says make in India,but your people working close india.